Many of our themes use featured images to display blog posts in different areas of your site. It's important that you have a featured image set for each blog post. 1. 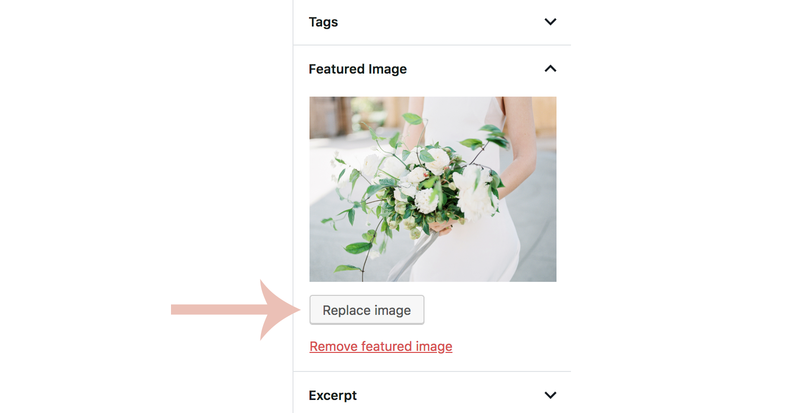 To set featured image, go to your WordPress dashboard > Posts > All Posts. Either create a new post ( Add New at the top) or click Edit on an existing post you'd like to set a featured image for. 3. Click Set Featured Image. 4. A window will pop up where you can choose the image that you would like to use. 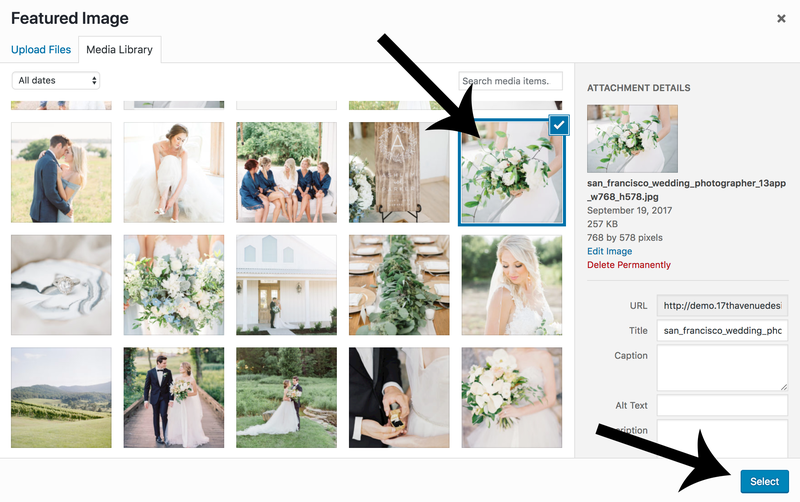 Choose an image by clicking on it and then click the blue Select button. 5. Once your image is selected, you'll see it under Featured Image. To save, click Update in the top right corner (or Publish if this is a new post). If a post already has a featured image set, its featured image will display in the post editor under Featured Image. To change the image, click Replace Image and select your new image (steps 4-5 above). If you have lots of posts on your site and no Featured Image set for any of them, don't fret! You don't have to add them all manually. Install and activate the Auto Post Thumbnail plugin. Once installed, go to Settings > Auto Post Thumbnails and click Generate Thumbnails. Don't exit the page until it has completed 100%. This plugin will automatically pull the first image in each post and set it as the Featured Image. 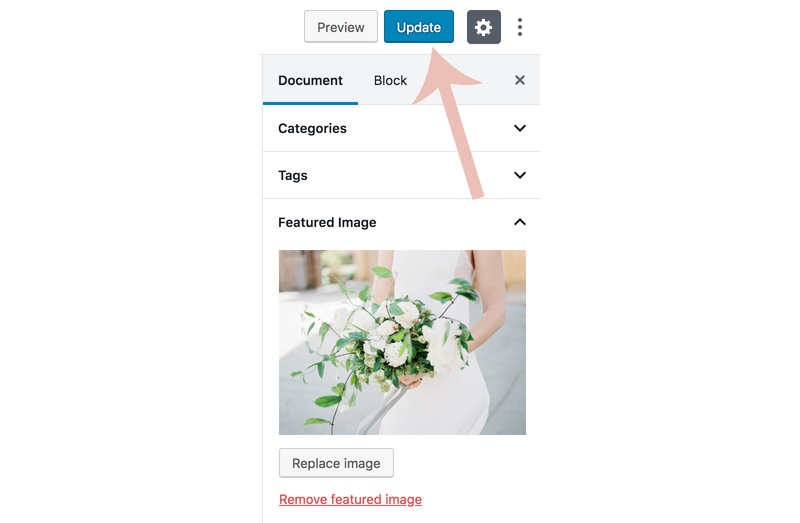 Note: If you transferred your content to WordPress and your images are still hosted on your previous site (Blogger, Weebly, Wix, etc) – you won't be able to use the aforementioned plugin. The plugin can only pull images that are already in your WordPress media library.